The Reserve Bank has cut interest rates for the first time in more than 2½ years, bringing relief to households and corporate borrowers. 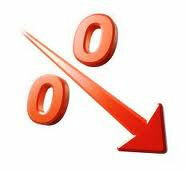 As widely tipped by economists, the central bank today lowered its key cash rate by 25 basis points to 4.5 per cent. The move reversed the increase imposed on Melbourne Cup Day last year, the most recent time the RBA has shifted rates. Westpac has moved to match the RBA, cutting its standard variable rate by 25 basis points to 7.61 per cent, effective from November 14. Fellow big four bank Commonwealth Bank also lowered rates on a series of variable home packages by 25 basis points, trimming them to between 7.66 per cent and 6.86 per cent, depending on the product, effective from Friday. Bank of Queensland and ME Bank have also joined in, with similar rate reductions. The ANZ and NAB may announce their rate changes by this evening. If passed on in full by commercial banks, today’s rate cut will trim mortgage repayments on a typical 25-year, $300,000 home loan by $46 a month.